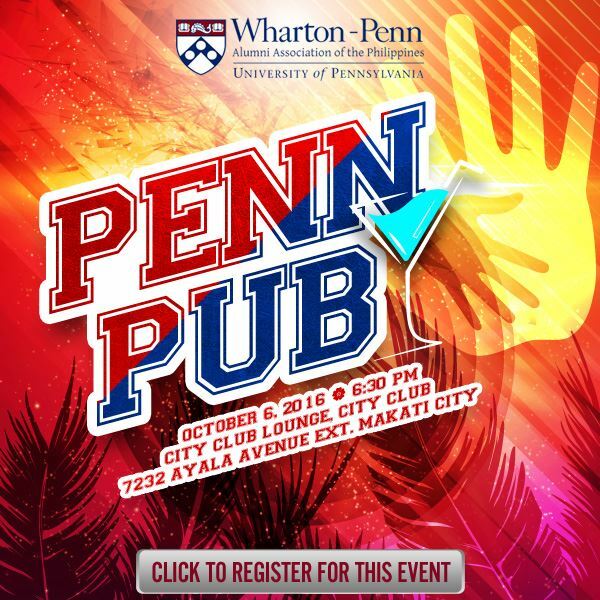 Welcome to our Club's very first Penn Pub! This serves as our First September signature event (just a month delayed) where we welcome our fresh graduates back to the Philippines and into our alumni community. We are also inaugurating our Alumni Mentoring Program this evening where we will pair up recent graduates with experienced alumni to serve as their mentors as they begin to map out their careers in their chosen field. Of course we invite all alumni to join us for another lively, social evening.